Pristine single level ranch on over five pastoral acres! Great room floor plan with vaulted ceiling & open kitchen with slider leading to covered patio. Large master bedroom suite with walk-in closet. Multiple outbuildings including HUGE barn, covered RV parking & large storage shed. Perfectly suited for horses or livestock with approximately four fenced acres in pasture. 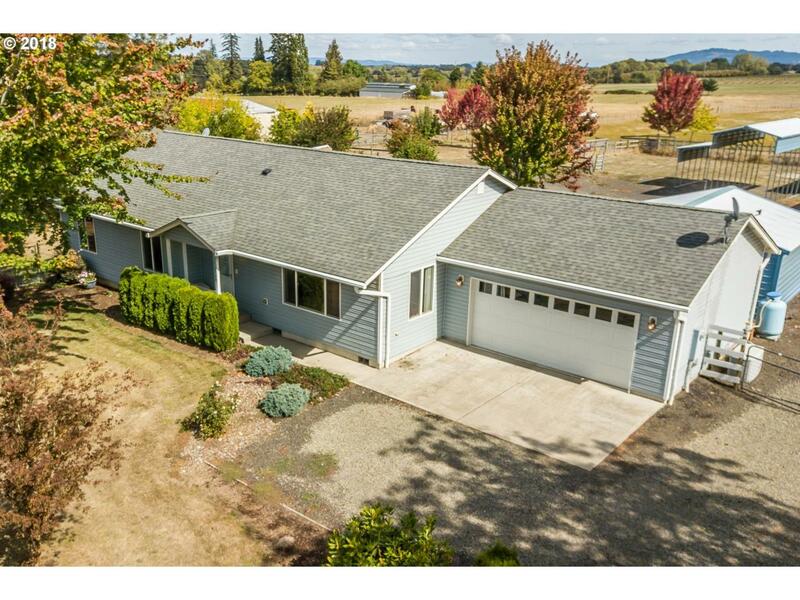 Ideally located in country setting just minutes to McMinnville! Listing provided courtesy of Park Place Real Estate, Inc.